DL Envelopes are one of our most popular sized envelopes as they are used for direct mail and are what you generally receive through your letterbox including bills, statements, marketing and general letters. Sized 110 x 220 mm (11 cm x 22 cm or 4.33" x 8.66") to fit A4 paper folded three times lengthways, commonly known as letter envelopes. With an outstanding range of coloured, textured and plain DL envelopes you really are spoilt for choice. 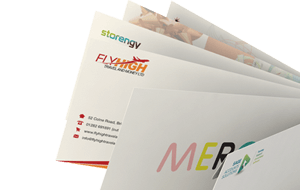 We pride ourselves in giving the very highest quality envelopes at the very best prices. We hate seeing our product range stay the same, that's why we like to add new and exciting products all the time. 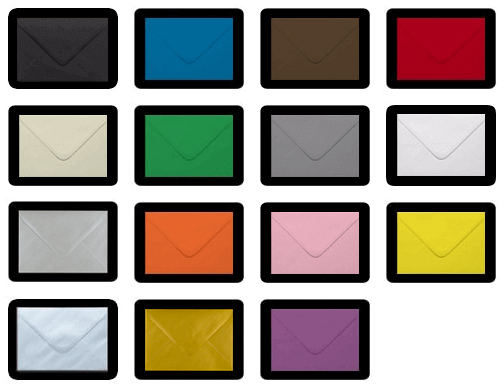 Our ever-expanding range of coloured DL envelopes is one of the most extensive ranges on-line. With colours ranging from pastel blues to dark blues to fuchsia pinks and scarlet reds. With over 20 different colours in our DL coloured envelope range, you've really got to think about which colour matches best with your project.